Holy cow, this has been one heck of a weekend, but let’s start with the end of the weekend first so that I can flip through the millions (quite a bit of an exaggeration) of photos that I took throughout the weekend. I decided we’d start with a restaurant review to start off the weekend recap. There were tons of things on the menu to choose from, plus there is a daily special. The special was Chicken Fried Steak. 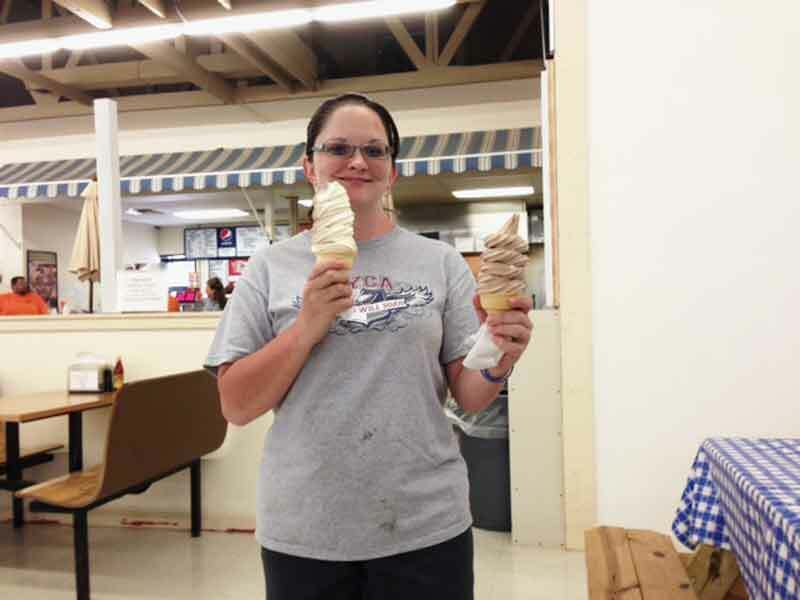 They are known for their ice cream cones here, but more on that later. Once we placed our orders, we went to find a table for us to sit at. 10 people, large table! 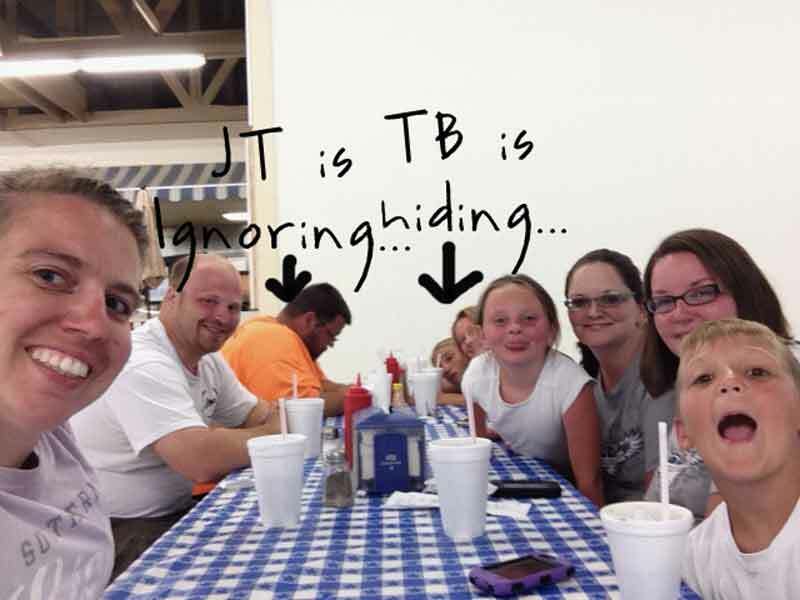 JT was too busy playing on his phone to pay us any attention. TB was hiding from the camera which is nothing new. I needed go-go-gadget arms to get us all almost. And ignore all the redness, we were all sunburned pretty much. 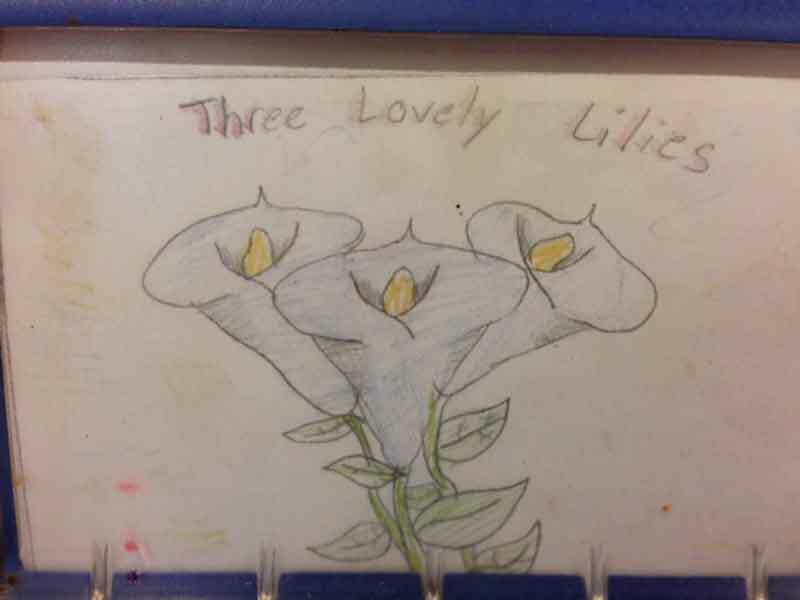 This was on the napkin dispenser. I thought it was cute. I ordered a Jr. Burger with Cheese and Bacon added topped with Mayo, Lettuce, Tomato and pickles minus onion. There were about 10 pickles so I had to remove a few and there were 2 pieces of tomato which I only ate one. That’s ok, TB ate the other one :). 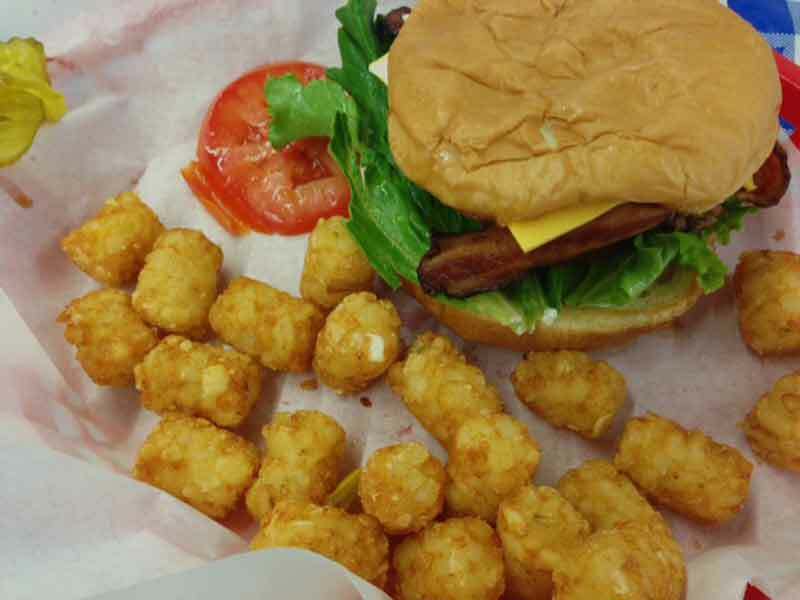 I went with a side of tator tots. 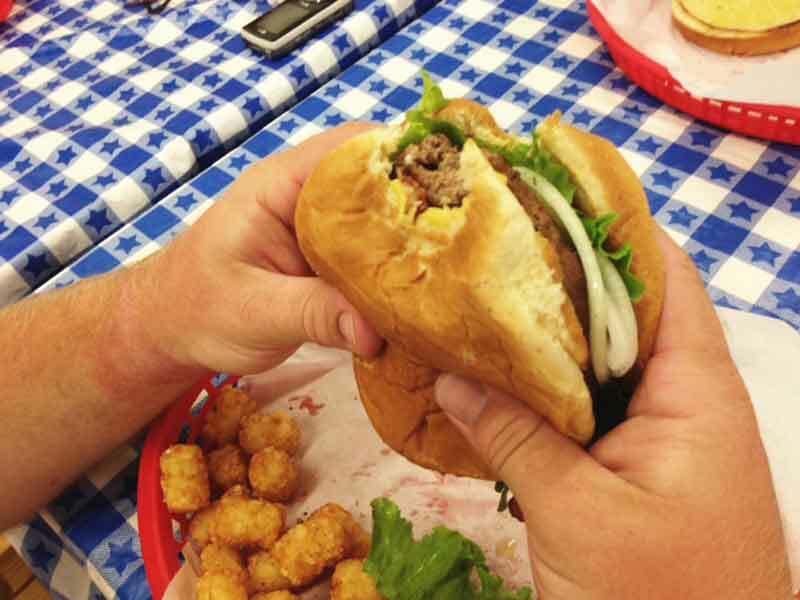 Might I tell you this burger was delicious. I was a bit skeptical at first, just going here not knowing but HOLY COW was this a GREAT burger! My Jr. Burger was a 1/3lb burger. I shared my tots with Waldy. Hubby went with the Burger Basket which was a 1/2 lb burger with all the fixins, including onions. He also went with tots as a side. Then came the Ice Cream. Now AL, Zebra Girl and JT all raved about the ice cream. 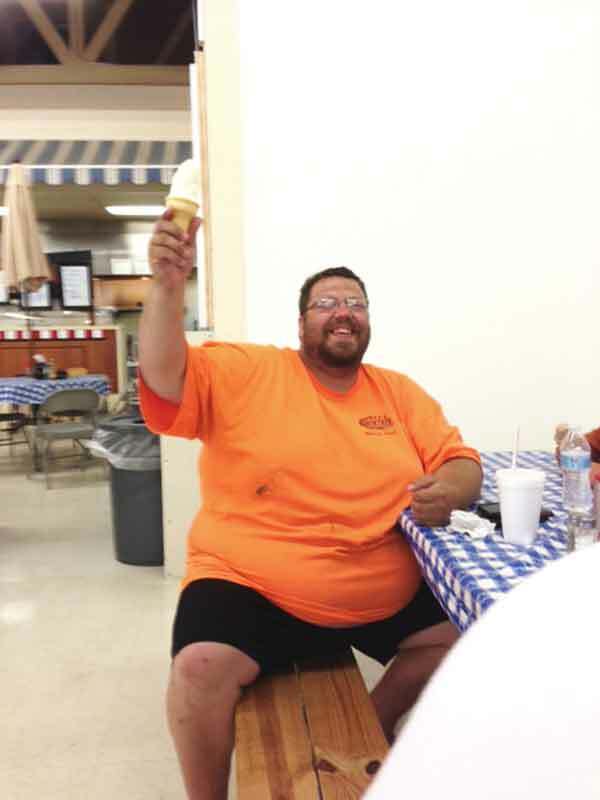 Here is Earl delivering our ice cream cones. This, believe it or not is the kids size. 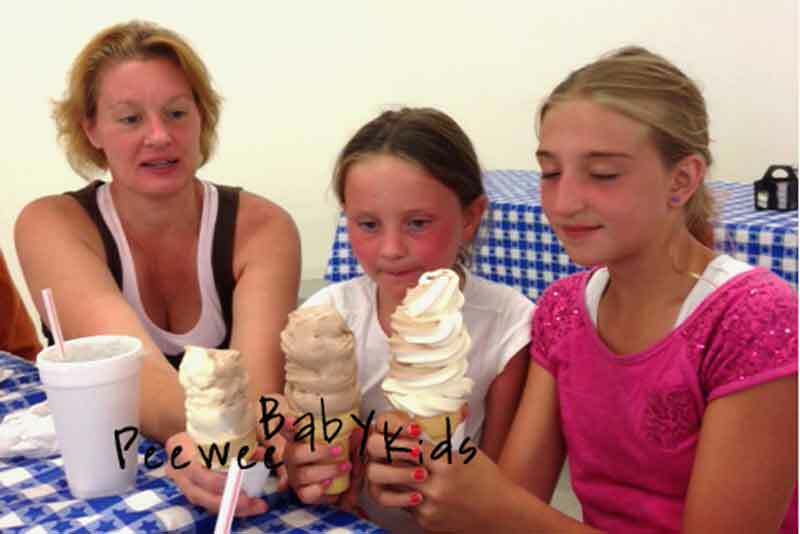 There are the options of Peewee, Baby, Kids, Small, Medium, Large. 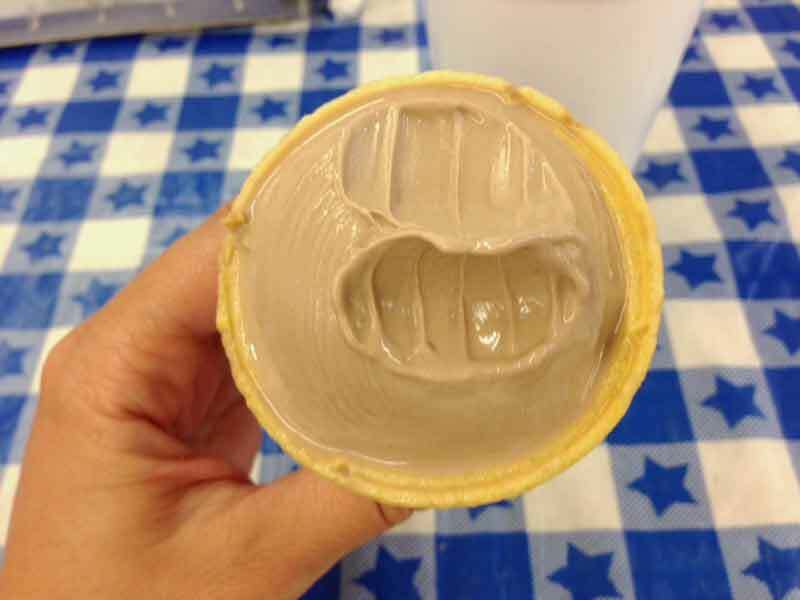 I know for sure the Medium & Large are served upside down with the cone on top and in a bowl. You’d have to be really hungry! I saw one!! Here are comparison sizes of 3 of them. Diver girl got the Peewee, Moo went with a Baby and Zebra Girl got a kids size. The largest any of us ordered was a Kids size. And here’s our “Statue of Liberty”. haha. By this point my tongue was soo cold that I started biting it off to get through it. I must have forgotten my “lickers” license. lol. 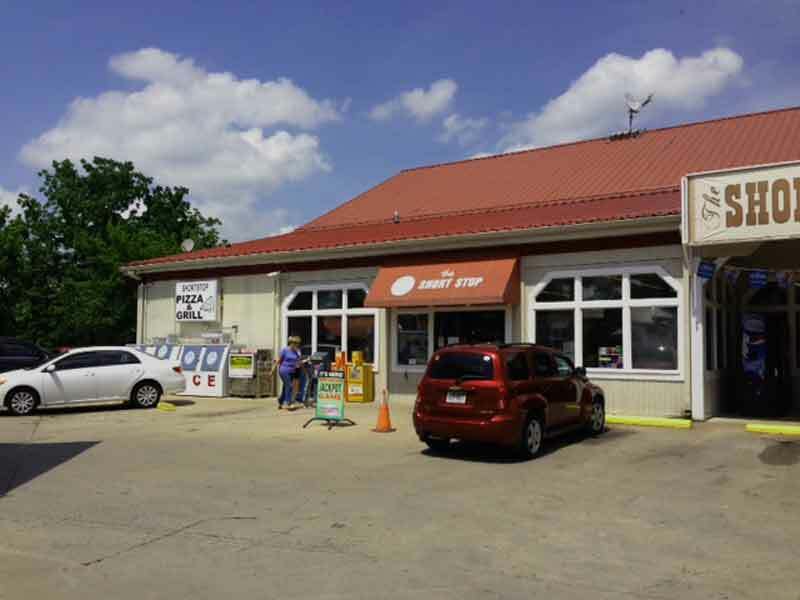 And just a random side note, this is also a kind of get it all store including gas. 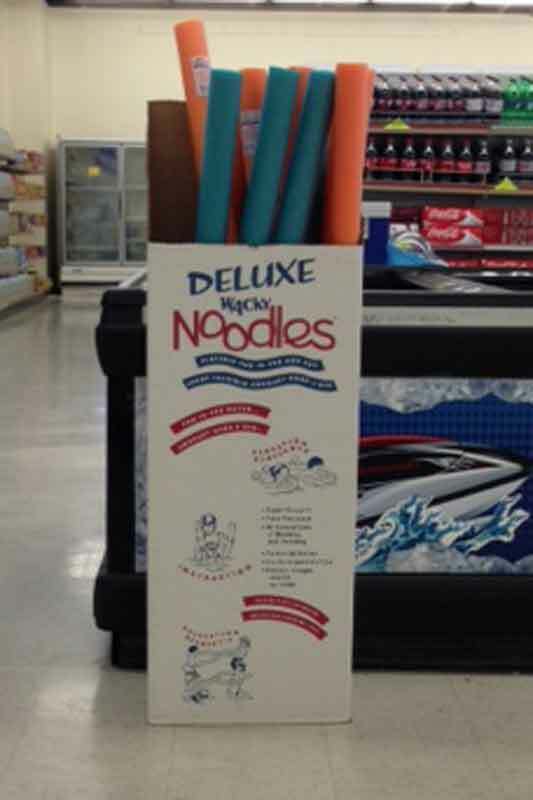 I looked over at these Noodles and saw Deluxe Noodles and combined them to call them Doodles. We all got a good laugh over that one… lol :). All I can say is, the Burger was great and Don’t forget the ice cream!